Last month my husband and I had a lovely vacation in Quebec City, Quebec. Most of the bakeries and patisseries there have a great selection of maple flavored cookies, chocolate, and candy. Since we’ve been back, I’ve been craving maple flavored desserts so this maple cake is just want I wanted. 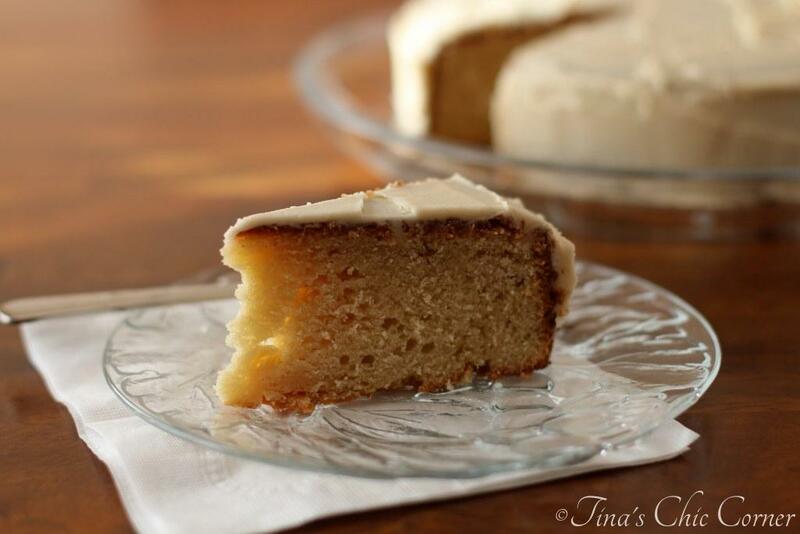 This maple cake is a lightly sweetened maple cake covered with a sweet layer of maple icing. Cream the butter, maple syrup, and white sugar until pale and fluffy. 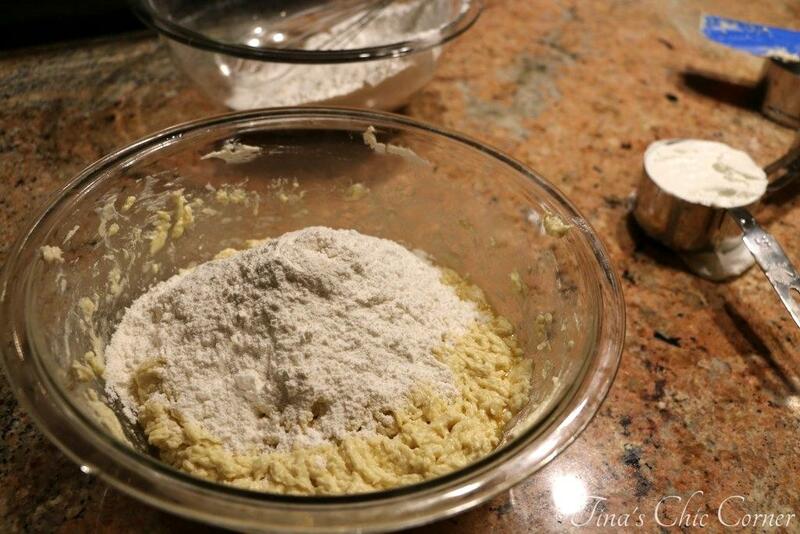 Add the dry ingredients into the wet ingredients in 3 batches, alternating with 2 batches of the sour cream. Mix until just combined. Pour the batter into the greased pan and bake it for 50 minutes or until a cake tester comes out clean. Let the cake cool completely and cover with the maple icing. In a medium bowl, melt the butter. Whisk together the melted butter, maple syrup, and powdered sugar until combined. * In the round pan the cake will overflow slightly. You can also line the bottom of a 9 inch square baking pan with parchment paper and grease the pan. Bake the cake for 40 minutes or until a cake tester comes out clean. You’ve got your typical cake batter deal going on here. It’s pretty thick and smells amazing already. All that maple syrup, butter, and sugar…yeah, this is not healthy at all! I don’t bake cakes often because they intimidate me. I’m not sure why, but it could be that I’m scarred from my first cake experience. I didn’t let the cake cool enough before frosting it and it turned into a disaster. I ended up throwing that cake away. That was about 6 years ago and my husband still wishes he could have eaten it instead of discovering it in the trash can. However, I’ve been wanting to try this maple cake for a while. We were invited to my mother-in-law’s for dinner so I thought it was the perfect occasion to bake it. When I took a closer look at the ingredients, I realized that the recipe called for two sticks of butter. Two sticks of butter for a one layer cake? That can’t be right. I was convinced that it would not come out well. Did I mention that this venture started at 6:30 pm on a Saturday, I’d been up since 8 am, and on my feet all day in the kitchen? At this point I’m tired and cranky, which is not a good combination for baking. My husband and younger sister convinced me to make the cake. It’s a Martha Stewart recipe, so how bad could it be? Crisis averted…or so I thought. The original recipe called for a 9 inch square pan, but I don’t have that size pan. I have a 9 inch round pan so I’m good, right? (Hold that thought.) I placed the cake in the oven and I started to peek at it about 3/4 of the way through the baking process. It looks like a ginormous muffin! If you didn’t already know, a 9 inch round is not the same size as a 9 in square pan. Oye. I rushed to my husband asking a question about squares and circles, got a quick geometry lesson from him and wandered off grumbling. This cake is a monstrosity! I literally must have called it that 20 times. My husband heard me and yelled from his office “Whatever you do, DO NOT throw the cake away.” I’m tired and now super annoyed. Fine, then I’ll bring an ugly huge muffin cake to my mother-in-law’s. My sister brilliantly suggested, “Just cut off the edges.” Hey, she may be on to something. Once the cake has cooled completely, invert it onto a platter and remove the parchment paper. Take a sharp knife around the outer edges of the cake and cut off any cake that spilled out past the edges of the circle pan. You’ll recognize them partially by the fact that they are likely to be a bit toasted. You will see the inside of the cake, but don’t worry because you’ll cover it with frosting and you’ll never see those imperfections. Putting my ordeal aside, this cake tastes awesome! The cake is super moist. It’s not as sweet as you might expect and the maple flavor is pleasant and mild. Taste wise, it reminds me of a pound cake. I think the maple frosting is the shining star here. I could be partial because I could eat frosting on pretty much anything. 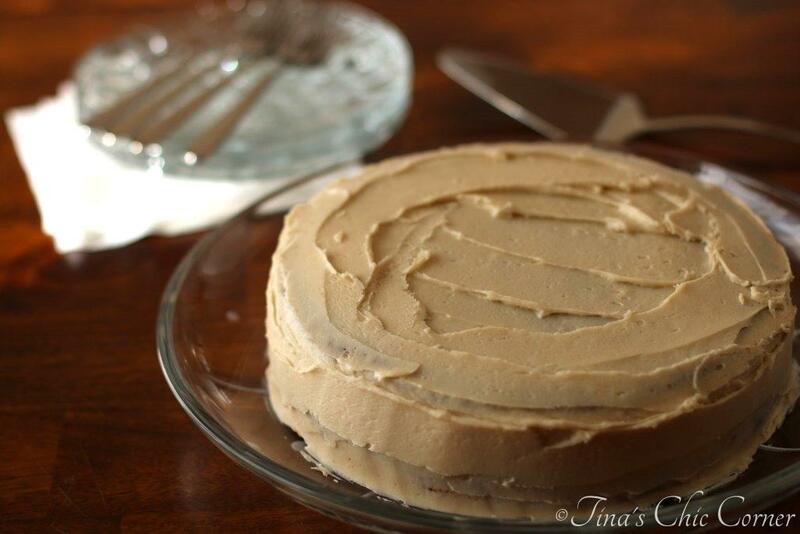 If you frequent this blog you know frosting is right up there with powdered sugar for me. Maybe that’s because of all the powdered sugar in frosting. Hmm. The frosting is very sweet and you can definitely taste that wonderful maple flavor. Speaking of maple flavors, please use pure maple syrup for this cake. If you use the fake stuff, your cake is likely to taste horrible. 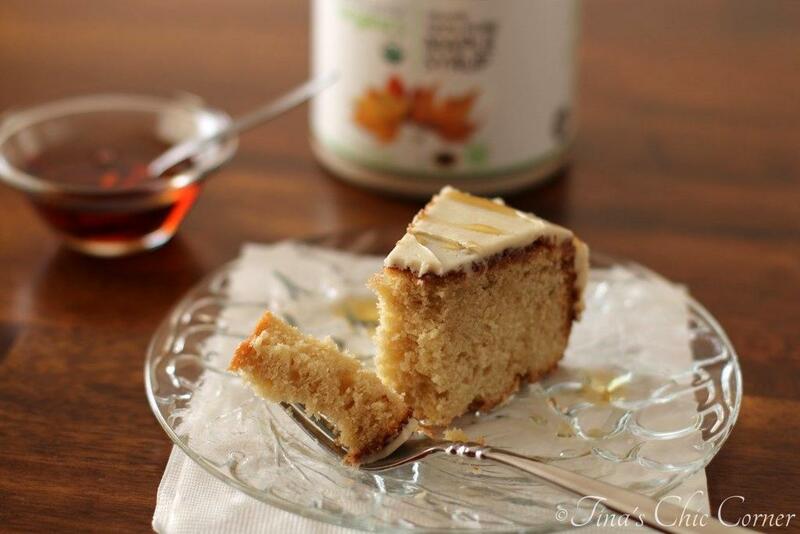 This cake has a lovely light brown color that comes from the pure maple syrup. The darker the grade that you use, the more brownish your cake will look and the more maple flavor it will have. I didn’t have immediate access to grade B maple syrup, but the original recipe recommends it and if you want more maple flavor, that’s how you get it. Don’t think you can get more maple flavor by adding more maple syrup. That will throw off all the ratios and you won’t end up with what you were hoping for. Here are some other great desserts to bring over to someone’s house. I love maple and it looks really good in this cake. This maple cakes looks and sounds delicious! I love maple desserts, I feel like they lose the spotlight to pumpkin this time of year. Can’t wait to try this! Wait, a 9-inch round pan is different from a square one?! Thank you for the lesson since I did not know that. I’m just curious…did you use a 2 or 3″ tall pan? I have 3-inch tall ones so I wonder if I could get away with it (though maybe there’d still be that “muffin top”?). I’m so glad it all worked out. It looks totally delicious and no one would know the drama behind it. I adore single-layer, simple but delicious cakes. 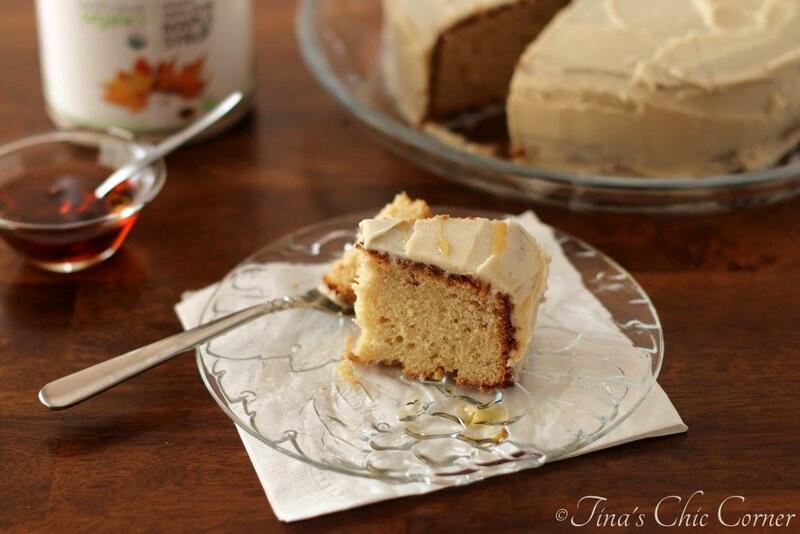 Love that there is maple syrup in the cake and frosting!! This would be spectacular!! I’m glad I’ve passed on my accidental wisdom. 😉 The frosting is crazy amazing. It’s very sweet but I’d be tempted to make a double batch for an extra thick layer of icing…or for me to eat on the side. Hehe. What a perfect cake for the holidays! Love that you use maple syrup both in the cake and the icing. Would love to make this cake, really! This cake is gorgeous! I’m obsessed with maple syrup and know i would love this. I’m always messing with cake pan sizes based on what I have and most of the time it serves me okay. Springform pans are often replaced by my 8 or 9 inch cake pan. I don’t even know which it is anymore! Cake for breakfast is totally acceptable . . . especially since this one has maple syrup. 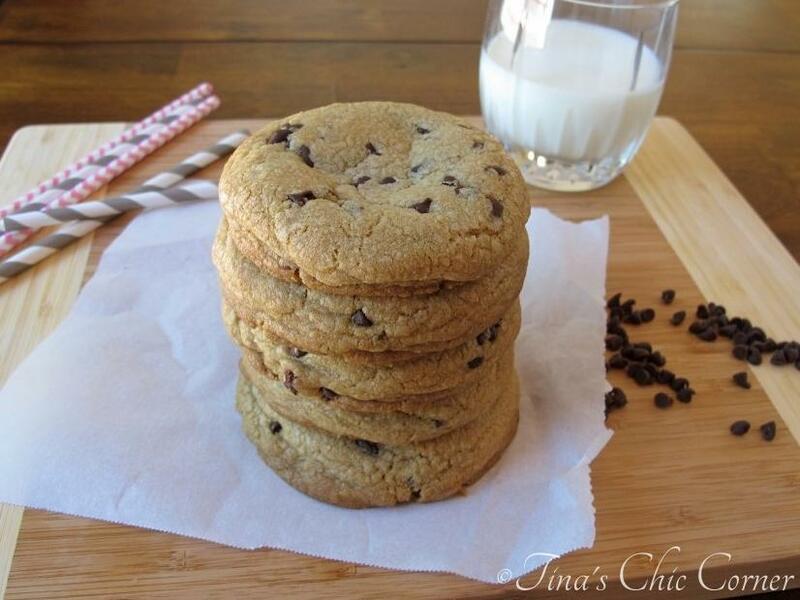 And I’d rather bake a cake than cookies everyday. I am totally incapable of telling when cookies are done. We should open up a bakery…you’re in charge of the cakes and I’m in charge of cookies! 😉 I too am always experimenting with cake pan sizes and am forever asking my husband for how to switch sizes without messing too much with the recipe. Of course the one time I didn’t ask him and this cake was almost the cake that wasn’t! Oh, I love maple and this cake looks SO good. 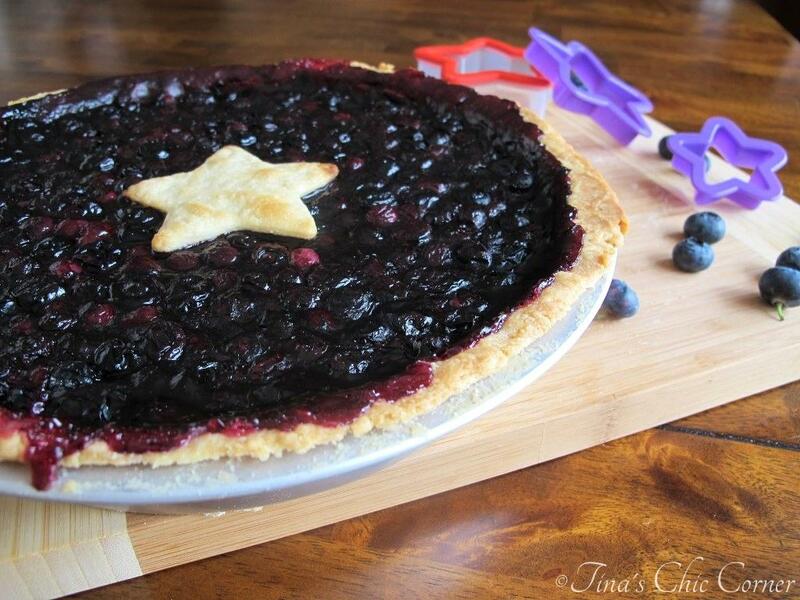 I could go for a slice as an afternoon treat right now! This cake looks so good. Maple is just one of the best flavors ever! Wow lady! That looks so sweet. I’m all into maple lately. Yum. wouldn’t matter. Do you have to use coarse salt in this recipe or can I use table salt? I’m glad that I can pass on what I’ve learned to you. 🙂 Yes, you can absolutely use table salt instead of coarse salt for this recipe. Thanks for asking. This cake is beautiful! THAT FROSTING. oh my gosh. I’m a total maple freak, so I think I need this cake in my life! The only thing I came home from my time in Quebec City was maple chunks:) I’m a sucker for all things maple and this cake has my mouth watering! I could eat that frosting with a spoon … or my fingers. Haha, while making cupcakes for a function, I overfilled the cupcake liners and had to cut the edges off of two dozen cupcakes with kitchen shears … it made for good memories and lots of frosting! Oh no, your cupcake experience sounds dreadful! Hehe, good memories…that’s a great way to look at it! That is one pretty cake lady! 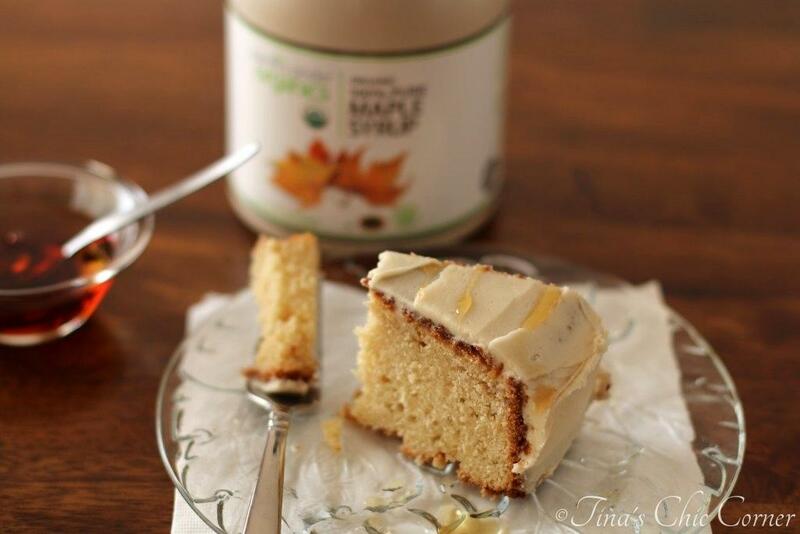 I love maple and love that you included maple syrup in both the frosting and the cake! It sounds incredible and I would totally eat a few slices of this cake for breakfast 🙂 Happy Friday and hope you have a fantastic weekend Tina! 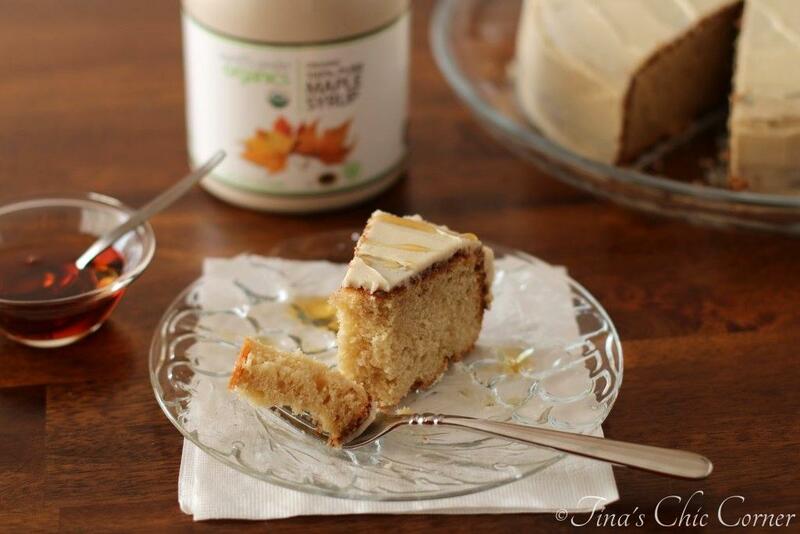 Maple is one of my very favorite flavors and somehow, I have never even heard of a maple cake! 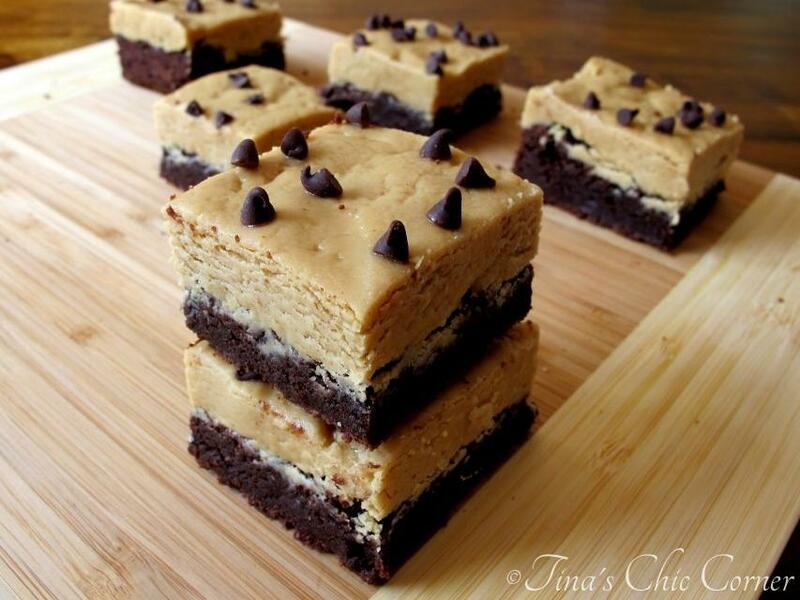 I can’t wait to try this Tina – pinned! The cake looks wonderful despite all your issues with it! Looks moist and mapley 🙂 I love the colour of the frosting. I”m surprised that the recipe said to use 9″ square pan at all, looking at your batter ingredients, that’s enough for a 9×13 pan, no wonder you spilled all over, I think it would’ve spilled over in a square pan too. Thank you for stopping by my blog and for your heartfelt comment, I truly appreciate it. I love maple syrup (the good, real kind) and all sorts of maple treats. I have no doubt this cake would become a favorite! Thank you for sharing it! The muffin thing always happens to my layer cakes!! I was so mad the first time that I took one out of the oven 😉 But they all look fine if you cut off the edges, yeah. Yours looks amazing, and I bet it tastes lovely with all that maple, yum! Maple is definitely a much underused fall flavor! Love the sound of this cake. I absolutely adore maple! This cake looks incredible, especially the icing. Oh my gosh, then you’ll love this cake! What a lovely cake! My name is Katie and I host Fall Into the Holidays, now open. All entries get pinned. I would love to have you link up! Your cake looks beautiful and sounds absolutely delicious! The maple icing sounds so good! 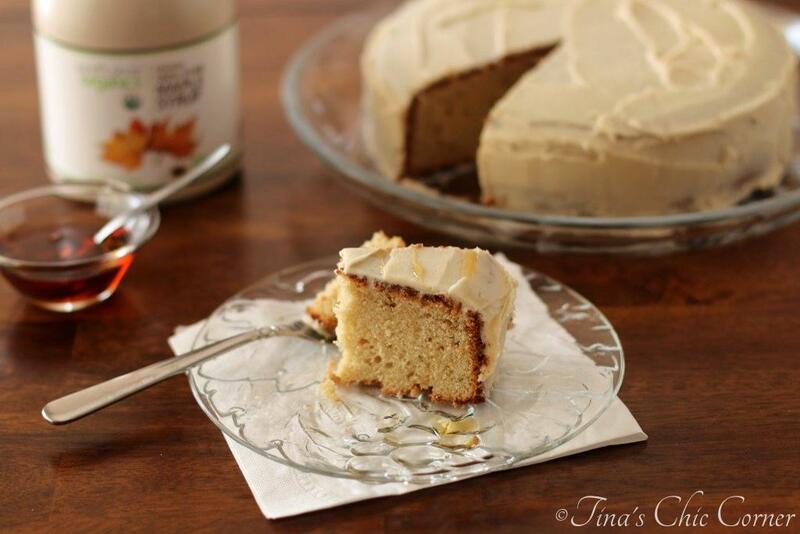 This cake looks delicious Tina, I’m especially a fan of that maple syrup frosting! Super yum! I guess I will have to brush up on my geometry as I thought it would have been A ok too. Good save and love anything with maple in it. A great dessert for an afternoon tea. That frosting looks sooooo dreamy! Canada, bring on the maple flavor…love it! 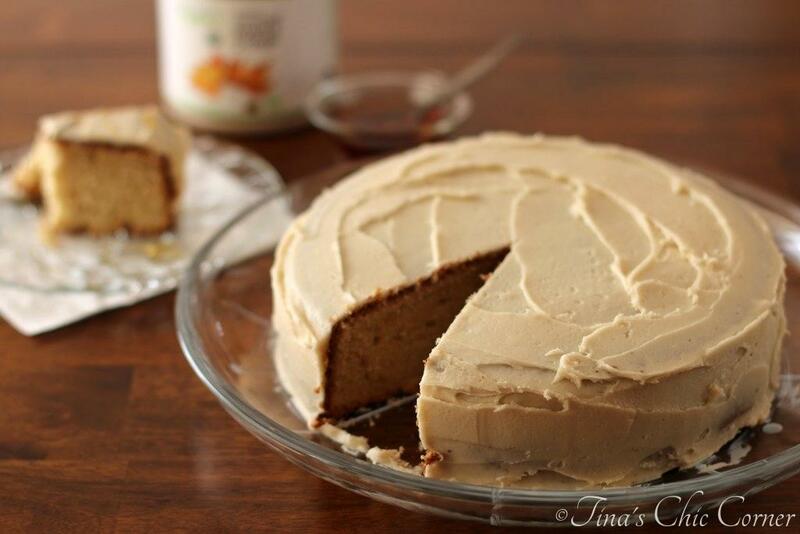 I’ve always been a sucker for a good maple cake…and this one looks delicious! It might need to make an appearance in my kitchen soon. Thanks for sharing!